We put forth a wide range of Industrial Container that is especially designed from unique quality materials. Our range is passed through strict quality checks to ensure accurate dimension and smooth finish. We make sure our clients that our collection is free from any leakage and damages. Our range is high in demands due to its optimum quality and cost-effectiveness. These superior quality Aluminium Food Container have an extra broad mouth & plastic polypropylene winged cap. 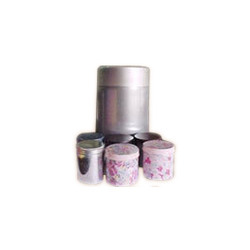 Aluminium Food Container can be sealed outwardly by shrink film or wire to make it pilfer proof. 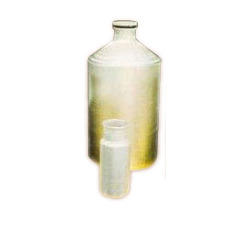 Our containers are extensively used in agro-chemical industries.Aluminium Food Container manufactured in accordance with international standards and are delivered within specified time frame. These Kitchen Storage Containers can be given a special paint coating to pass on a rich quality finish to the surface. We offer various types of coatings on Kitchen Storage Containers such as metallic, non metallic, glossy or matt finish. Our range of Kitchen Storage Containers meets the international standards of quality and is available in various sizes as per the client’s specifications or requirements. Looking for Aluminium Container ?